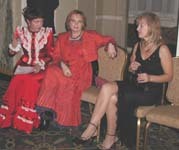 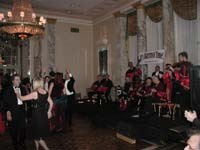 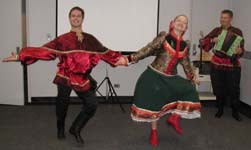 The Petroushka Ball, a traditional Russian ball held annually in New York City, is the primary fundraising event for the Russian Children's Welfare Society. 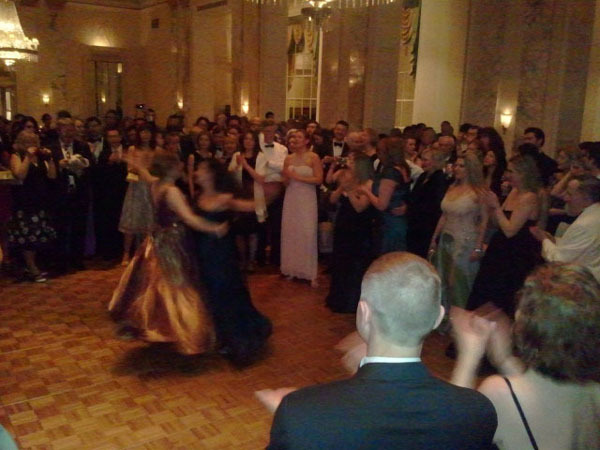 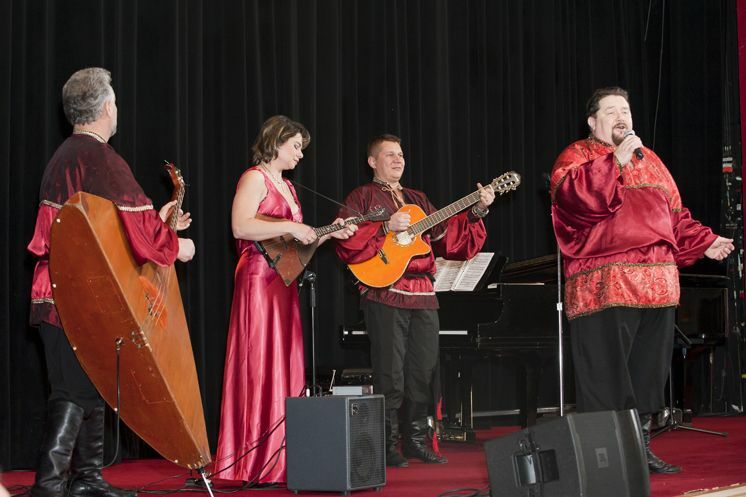 The Petroushka Ball was started in 1965 as a small tea dance by a group of descendants of Russian families whose intent was to raise funds to help Russian children. 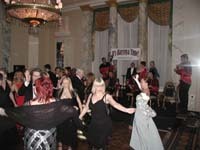 Since then, the Ball has become one of New York Society's most vibrant and anticipated annual events, attracting upwards of 700 dinner and dancing guests. 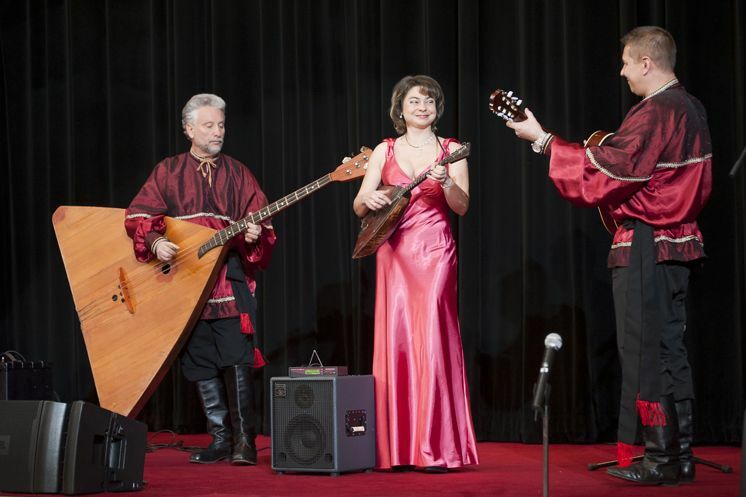 The Barynya Balalaika Orchestra led by Mikhail Smirnov is providing additional entertainment in the best spirit of Russian culture and romance well into the morning hours. 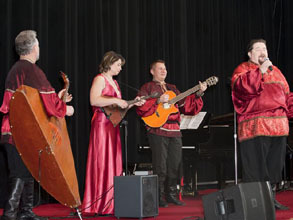 The Barynya Balalaika Orchestra led by Mikhail Smirnov performed at the Petroushka Ball for number of years: 2018, 2017, 2016, 2015, 2014, 2013, 2012, 2011, 2009, 2008, 2007, and 2006. 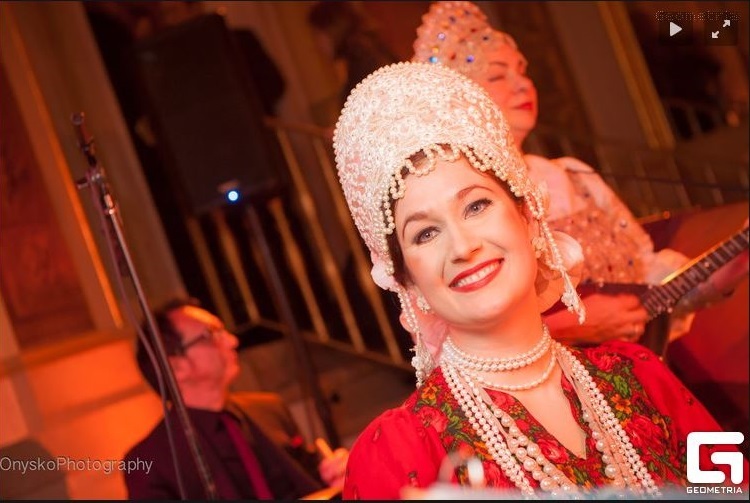 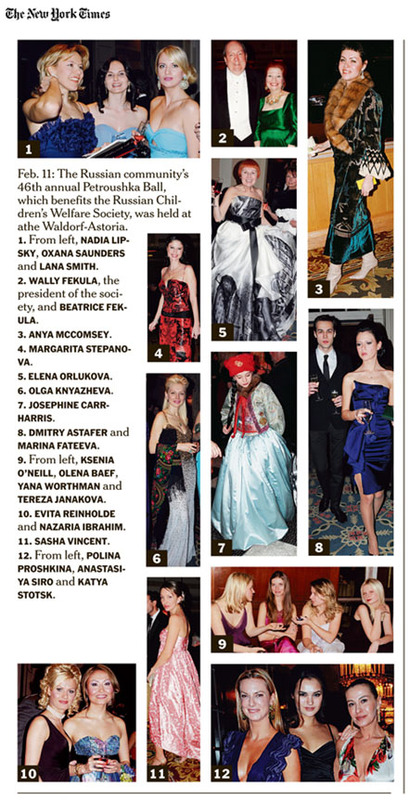 Petroushka Ball-2015, Plaza NYC, Friday, February 6th, 2015. 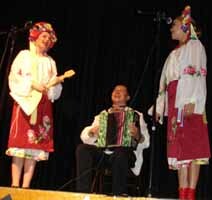 Traditional Ukrainian dance Hopak. 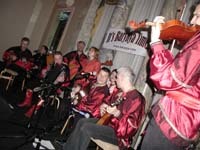 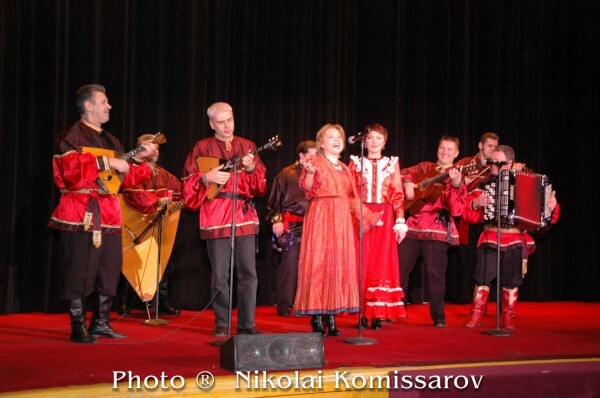 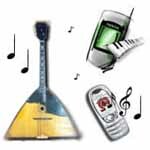 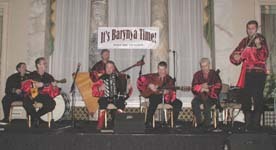 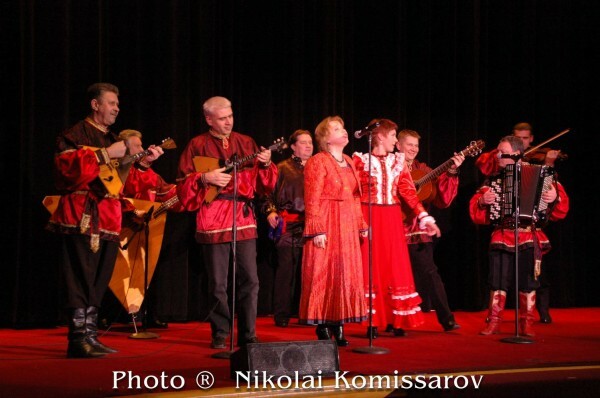 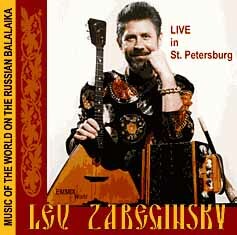 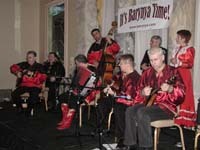 Music performed by full Barynya Balalaika Orchestra. 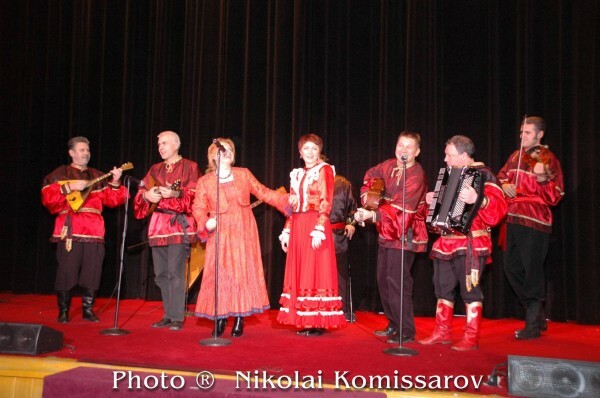 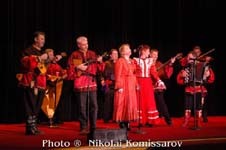 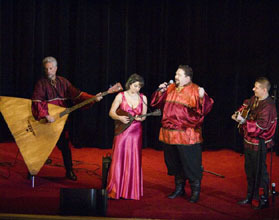 Sergey Gurbeloshvili (saxophone), Alexandra Mogilevich (drums), Lev Zabeginsky (domra-alto), Mikhail Smirnov (guitar, vocals), Elina Karokhina (balalaika), Leonid Bruk (balalaika-contrabass), Yan Khmel (bayan), singers Alexander Menshikov and Irina Zagornova. 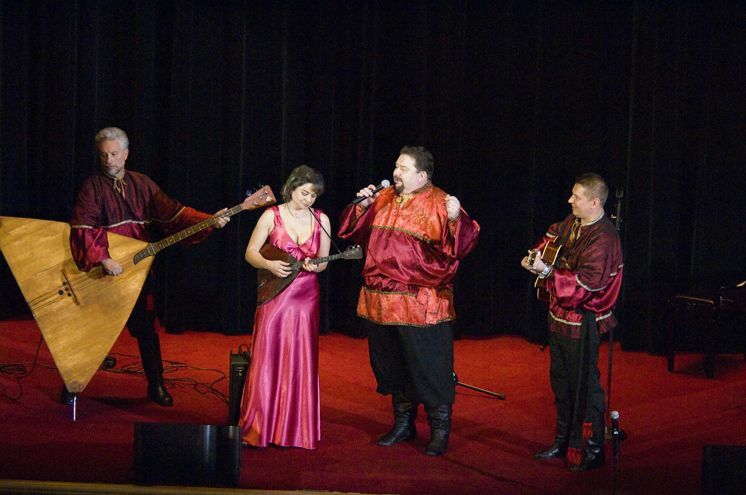 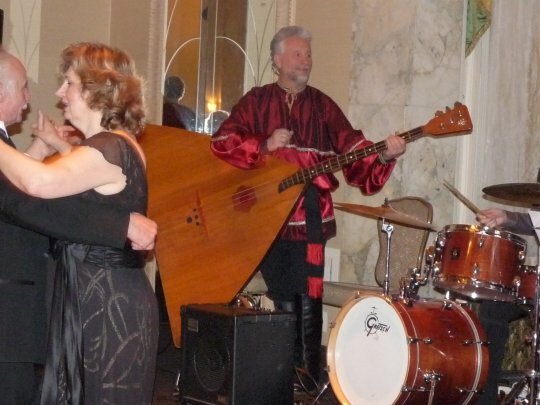 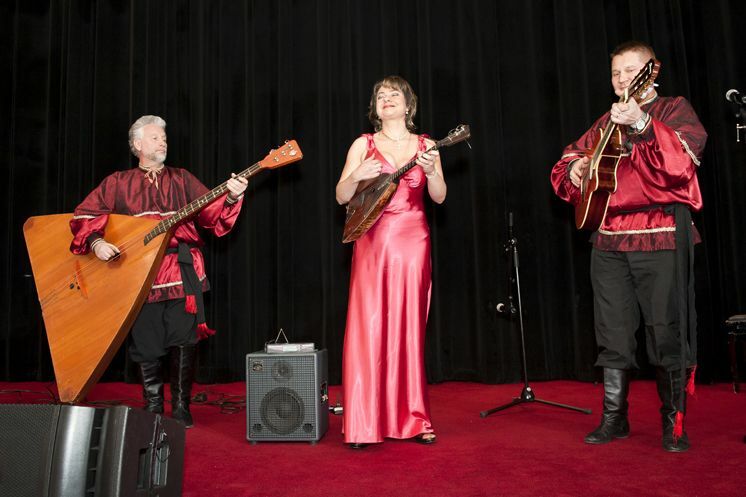 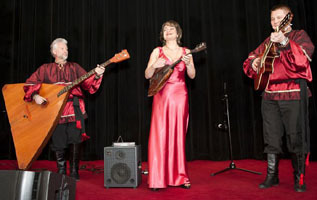 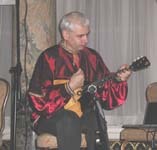 Performance during dinner by Elina Karokhina (balalaika), Leonid Bruk (balalaika-contrabass), Mikhail Smirnov (guitar), singer Alexander Menshikov. 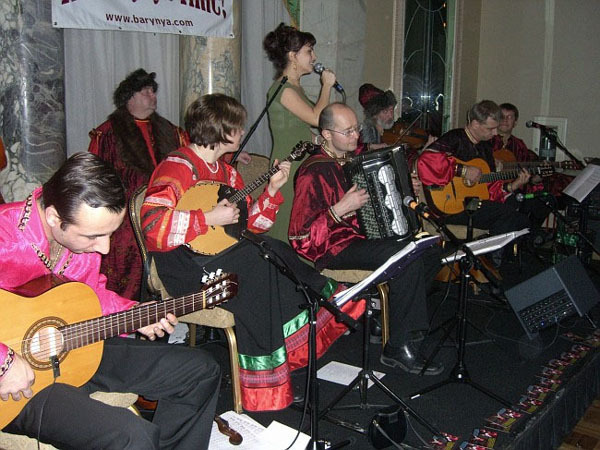 Recorded by Alexander Gurman (alexandergurman's YouTube channel) on February 11, 2011 at the Waldorf Astoria during Petroushka Ball. 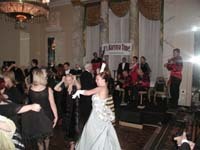 This is the beginning of the dance program. 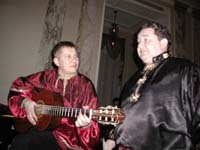 Song "Moscow Nights" performed by singer Alexander Menshikov. 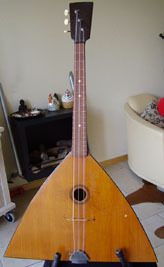 Recorded by Alexander Gurman (alexandergurman's YouTube channel).